Our November Student of the Month is 15 year-old Birmingham Seaholm student Griffin Benton. Griffin recently celebrated his fifth year of guitar lessons here at Axis. Recently he’s combined those lessons with vocal training as he is the front man for a band that he formed with two friends known as The Crunch. Click here to see his band performing an original song at one of our recent Student Showcases. 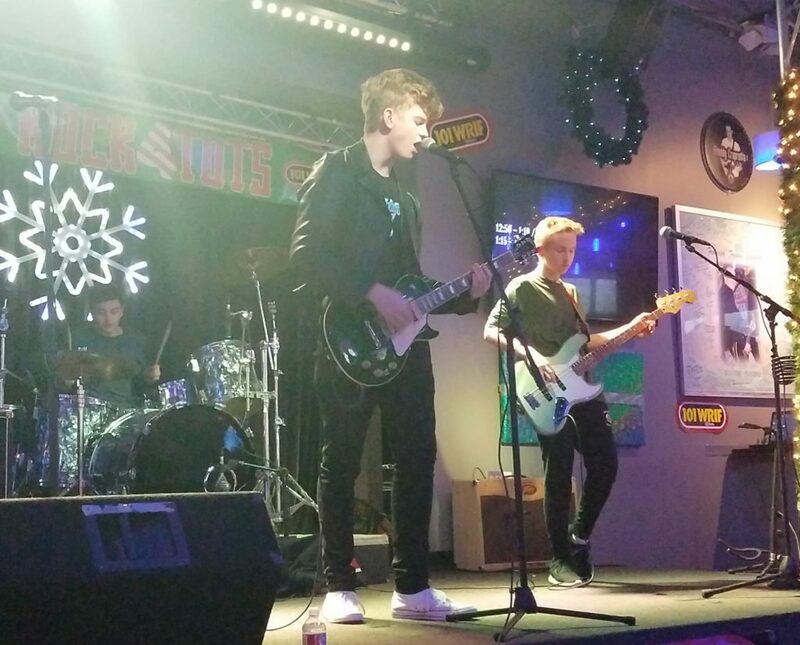 Just last weekend The Crunch was the opening act at the WRIF’s Rock 4 Tots fundraiser hosted by Freddy’s Bar & Grille in Clinton Township. Check out our Facebook and Instagram pages for footage from that event. With two original songs and an assortment of covers under their belts look out for The Crunch in 2019 as they plan to play out more often. When not riffing or writing tunes Griffin plays basketball for Seaholm and he also enjoys visual arts. We can’t wait to see what’s next for Griffin as the stages continue to get bigger for this talented young man.